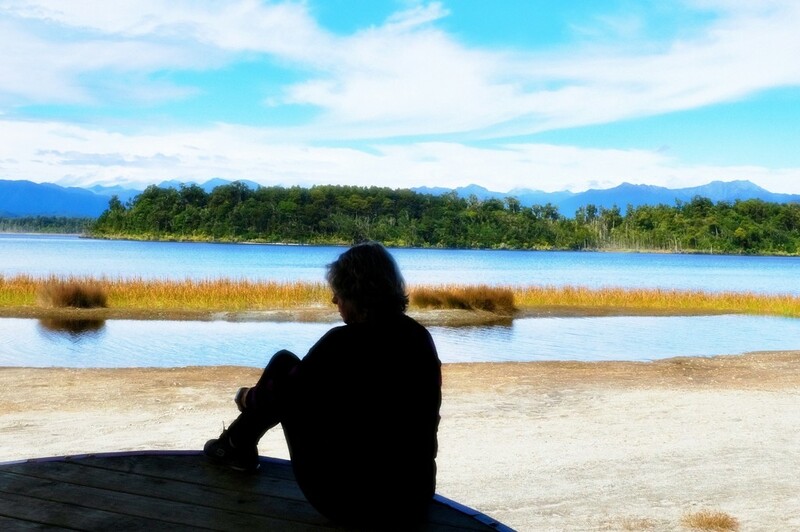 This is Lake Mahinapua just south of Hokitika which also has a great history. In the 1880's they dredged a river coming off this lake and made an inland passage to transport goods as there were no roads. An old steamboat is nearby which they pulled out of its watery grave and set up on this beach. 1. New camp now set up in School grounds for campers. 2. This site is only 2 blocks away from the Hokitika Wild Food Festival held tomorrow. 3. Went for a roast dinner at an old pub here but the roast was all sold out. The placed was packed with people and a great band was playing. When they played 'Sweet Caroline', the whole room erupted into song! Looks lovely. I do love your interesting New Zealand names! Lovely layers in this picture. A pretty place to rest in the shade! great self portrait, maggiemae. recognized you right away. Oh yeah, Sweet Caroline would get everyone going. Sorry you missed out on your roast. @golftragic a table of Asians scoffed the lot! @maggiemae In the interests of decorum, and the defamation laws, I shall refrain from comment. Like this, well done! Do keep enjoying yourselves...it's lovely to see what goes on in other cultures etc. Long may it continue. @s4sayer Thanks Margo - our civilisation seems to have a large number of indigenous peoples that intervened in the history of NZ. Not really, yours - in France! A lovely site. I thought this was a selfie and the other comments confirm. But are you sitting on a table? @helenhall I'm sitting on the prow of the old steamship here on the beach, Helen! @maggiemae Nope!!! Quote from a comedy show the name of which has long left my mind. Just another way to say keep your trap shut. A lovely scene for a selfie. Very contemplative!